1. sabudana 2 large cup. 3. makhana 1 cup . 7.finely chopped green chili 1 tbsp. 8.dry mango powder 1 tsp. 1. wash and soak the sabudana for 4 hour ,soak the makhana for 1/2 an hour . 2. now make a paste with makhana,lemon juice,green chilly,and tomato.grate the potato. 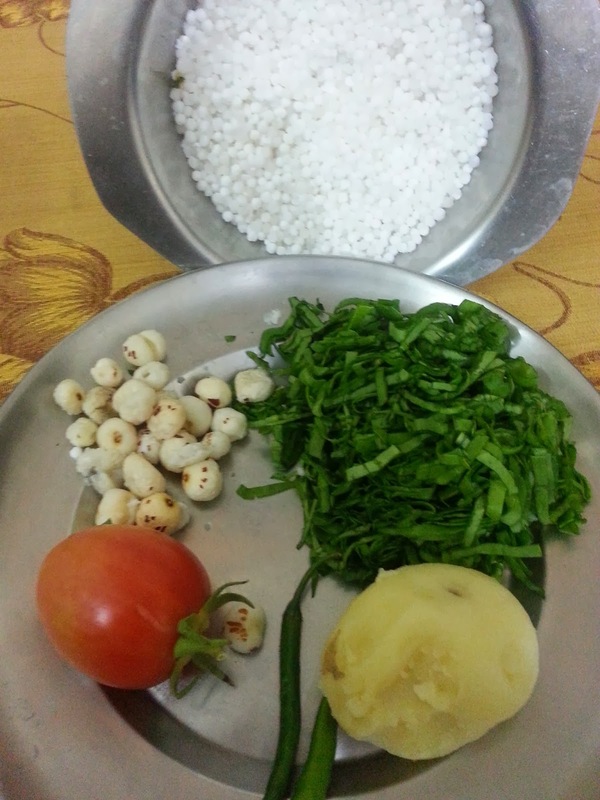 3.coarsely grind the sabudana,now mix all ingredients together. 4.now heat a non stick pan ,and make the cheela with hand then on tava. 5.roast it on slow fire . 6.serve with curd or tomato chutney .